Young people in 7th through 12th grades enjoy fellowship at 6:30 pm every Wednesday night in the PC3 (pccc) Youth Group at PCCC. The program is headed by Nolan Patridge and Josh Kenaley. Fellowship gives these students time to visit with their friends, share supper, and focus on a Bible study. Then comes game time. These young people have come up with some unique and innovative games, including fly-swatting hockey and paint ball using cotton balls and mustard. 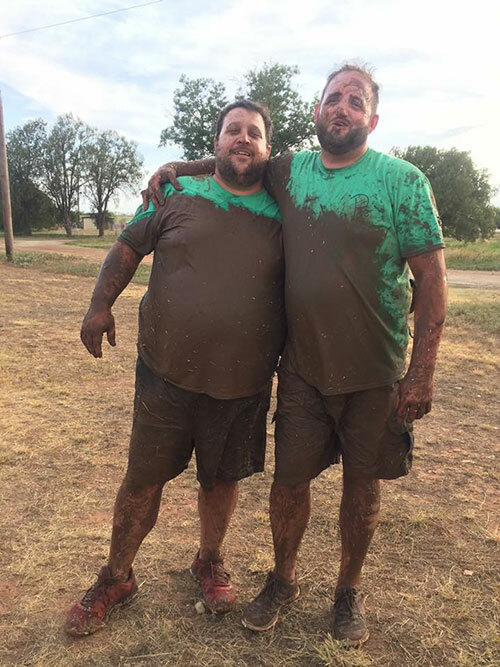 Some nights are devoted to Dirty Wednesday, where the young people walk away dirty, muddy, and excited about God. Every July PC3 Youth Group members join about 500 other youths at Cowboy Camp held at Leuder’s Camp. The camp is sponsored by the American Fellowship of Cowboy Churches and features steer riding, mechanical bulls, roping school, horseback riding, swimming, and lots of time for Bible study and meaningful worship of God.